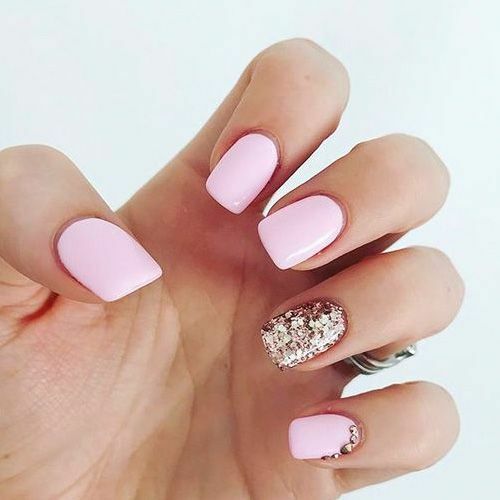 If you're looking for an affordable pink polish, preferably one of chip-resistant quality, Berkovitz recommends hunting down Sally Hansen's Complete Salon Manicure polish in the shade Sweet Talker. "This bottle is my drugstore go-to," she says. "It’s sheer, but with the perfect blend of pink pigment to make your nails look shiny and polished." Plus, the shade name feels appropriate for Valentine's Day mani. The nail-polish equivalent to that Chanel crossbody bag, consider this the investment polish you'll wear forever. "Chanel's Ballerina polish is a classic, both in shade and label," explains Sally Hansen professional nail pro Naomi Yasuda. "It is the perfect barely-there pink, for an everyday, natural look." Lauren Berkovitz, CEO and Founder of Lauren B. Beauty, tells us us that her must-have shade of pink polish is a staple from her own line. "I was inspired by my wedding," she explains of how the soft blush tone called Love came into existence. 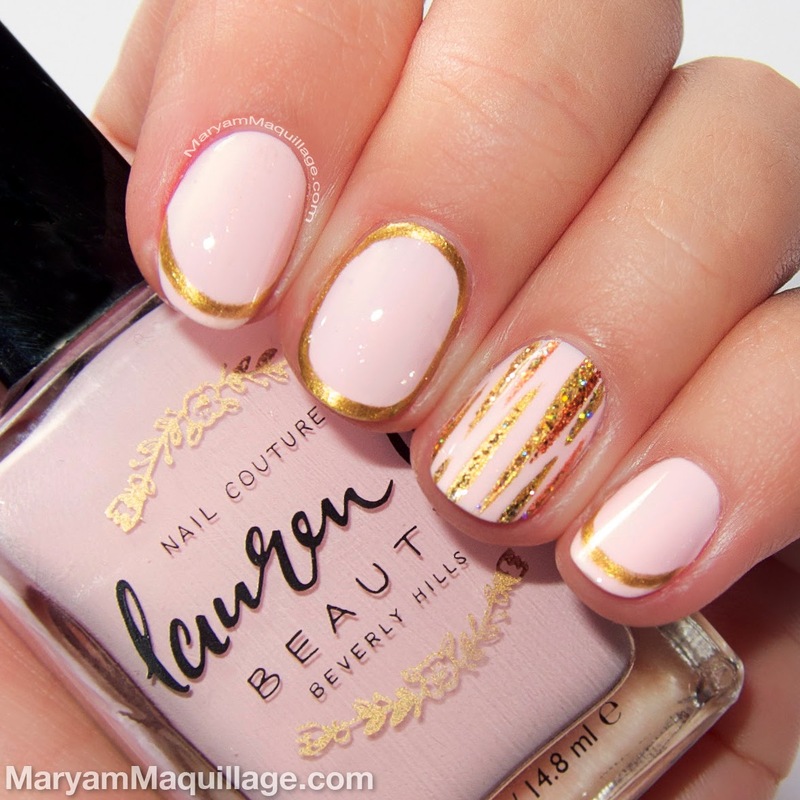 "It's a cool-toned, sheer petal pink that delivers glossy nails with two swipes. It never fails to make me feel chic and elegant." 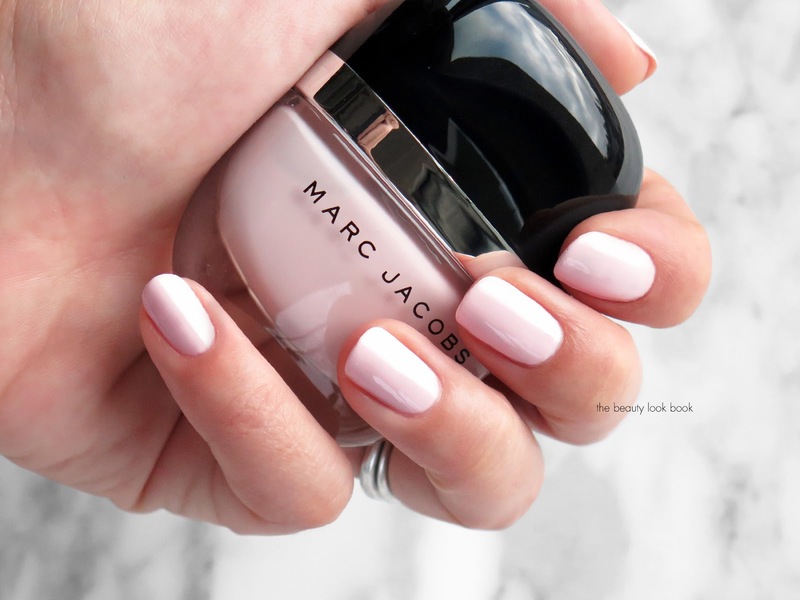 A pink halfway between neon bright and sheer blush, Marc Jacobs' Resurrection is a fail-safe polish. 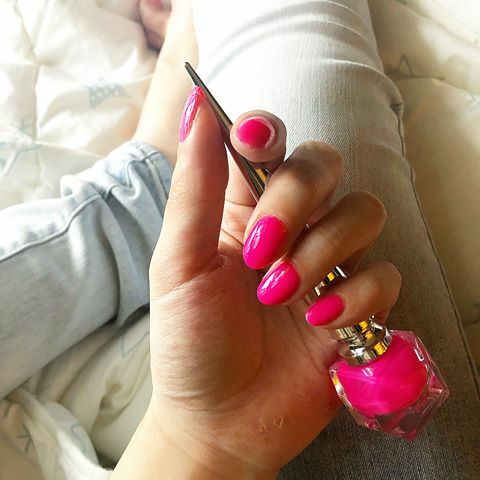 "I consider this shade the perfect bubblegum pink color," says Yasuda. "It's fun, perfect for a night out, but still classic enough to wear at work the rest of week." 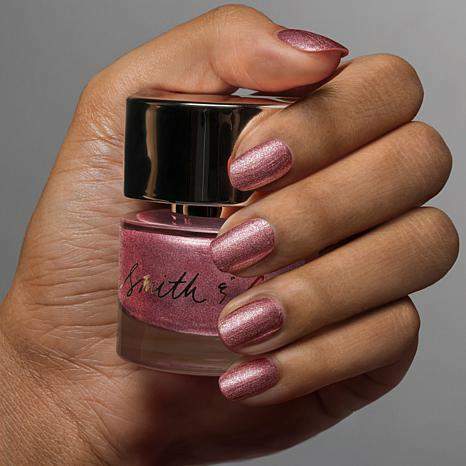 If you're looking for a universally-flattering pink polish with a touch of sparkle, you can't go wrong with Smith and Cult's Ceremony of Secrets. "The shade itself is pretty soft and subtle," says Yasuda. "But the addition of glitter makes this polish fun, and fitting for any occasion." We think of it as the polish equivalent to the romantic toast, clinking champagne flutes brimming with sparkling rosé. Even if your Valentine's Day looks more like sweatpants and a pint of Ben & Jerry's in bed, you can give your nails the knockout designer treatment with a neon-pink DIY mani, courtesy of Mr. Christian Louboutin. 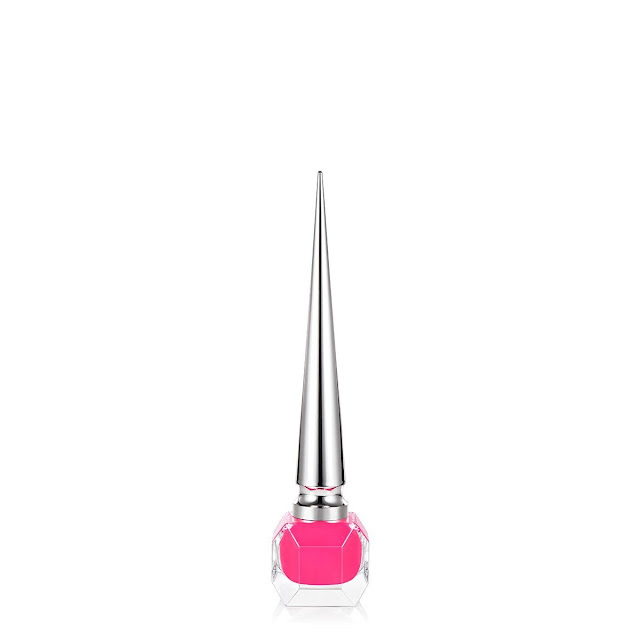 "I love a bold, bright pink — and Christian Louboutin's Neoprene polish is just that,"
Yasuda tells us. "This color is super pigmented, borderline fluorescent on the nails." Plus, the pointy, calligraphy-style bottle only adds to the appeal. Which is your favorite pink? Tell me in the comments below!